Air Systems and Compressors from Wisco Supply, Inc. If you’re in need of air systems and compressors, Wisco Supply, Inc. has you covered. 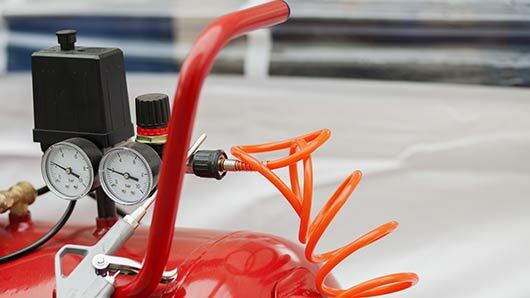 We carry a wide range of air compressors and systems in our inventory for you to choose from. Our certified and hardworking technicians can also perform maintenance and repairs on your air systems to ensure they last for years to come. When you need new equipment and machinery, maintenance or repairs performed on your air compressor equipment, or a reliable company that will help you with all of your industrial supply needs, Wisco Supply, Inc. is the place to call! We partner with the best of the best in the industry to ensure you get the products you deserve. No one wants to spend money on faulty or bad air systems or compressors. When you choose Wisco Supply, Inc., you can guarantee that you are getting the best products at the best prices. We work hard so you don’t have to worry. No matter the kind of air system or compressor you need, or the purpose you need it for, we have you covered with our wide selection. We can help you determine the kind you need, if you are unsure, or can simply supply you with a quick and easy replacement. Like any other fine machine, your air system and compressor will need to be maintained regularly. It’s important to have a trained professional perform maintenance on your systems regularly. This way, your systems stay clean, efficient, and in tip-top shape for the duration of its life. If you’re in need of an air system, compressors, and more, we’ve got you covered! Give us a call or check out our selection online today!